Beautifully designed, Queen Anne’s Lace arranged in a Starburst radiating from the centre outwards in a duvet cover & matching pillow shams feature Punch work embroidery along the full extent of the edges. 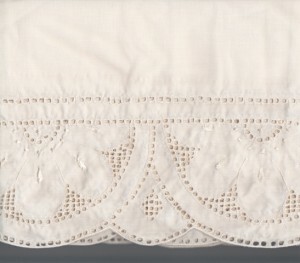 Centre Starburst in punch work embroidery radiates outwards. Creative Queen Anne’s Lace floral motifs integrate into a contemporary Starburst design, adding a soft touch to this bedding ensemble. 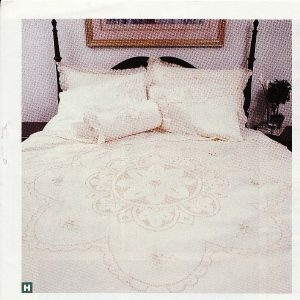 Available in White or Ecru percale cotton/polyester blend. 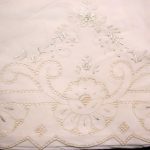 Matching shams can be purchased separately, please inquire. Matching shams can be purchased separately. Please inquire.